Take a look at our pre-owned Volvo selection. Is your Volvo in need of service? When you're ready to take care of your Volvo as well as it takes care of you … call Swedish Motors. Call 612-803-5661 NOW! 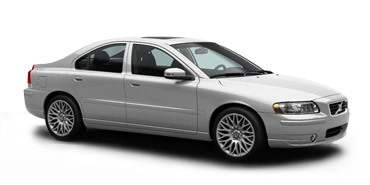 Swedish Motors is an independent automotive shop specializing in the care, maintenance, and service of Volvo. At Swedish Motors, your Volvo will get the time it deserves. Your vehicle will not be pushed through service to satisfy dealership profits. You talk directly to the person servicing your car [me]. Tell me about your car’s personality and I’ll tell you what it’s thinking. After putting in my time working the dealership service bays, I’ve learned that the management of dealerships does not benefit the car performance, safety, or the owner’s driving experience. Swedish Motors is fully Volvo-trained with state-of-the-art tools and technology. The only thing the dealership has that Swedish Motors doesn’t … is outrageous overhead. But you don’t have to take our word for it… check out yelp and google. Wanting to learn more about Volvos? Check out Swedish Motors’ data-driven fact sheet on how Volvo is a leader in the automotive industry for innovation and safety. Predictive maintenance is a factory recommended schedule of service and parts replacement. Following this keeps your vehicle operating safely. Swedish Motors uses Volvo made tools, equipment, and software to diagnose problems. Using authentic Volvo parts for the safest solution. Swedish Motors promises to work with your schedule and budget. We offer solutions and advice to get your Volvo back up and running. Service for tires is a must for safe driving in Minnesota weather. Come in a get your tires inspected for wear anytime. I brought my Volvo to Justin today for some minor repairs. They focus their attention on Volvos. The service was fast, friendly, professional and fairly priced. I would recommend Swedish Motors to anyone in the area who owns a Volvo. I was ready to sell my car, till I went to Swedish Motors. It was like a new love affair with my car. Justin is tremendous: great work, good prices, and the repairs hold. I won't take my Volvo to anywhere else in town. Justin’s integrity, professionalism, and commitment to customer service continues to earn my business over and over again – I strongly recommend Justin and Swedish Motors to everyone who wants to have safe vehicle and a reliable trusted mechanic!